Government officials will soon have to forget the comforts of foreign-made expensive cars and jump into the back seats of vehicles produced in Russia. Russian President-elect Vladimir Putin said that all state and local officials would soon have to buy only locally produced cars on budget money. Annually about $3 billion of taxpayers’ money is spent on maintenance and the acquisition of new cars for officials, says daily Vedomosti quoting a governmental source. This doesn’t mean the officials will have to stick to Ladas and Volgas. 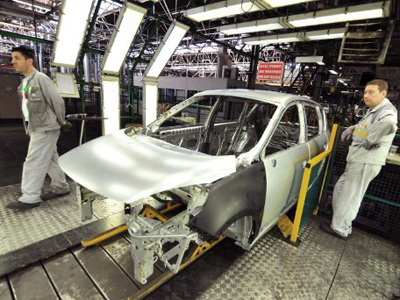 Tax exemptions for foreign cars producers in Russia and high import tariffs enabled the country to finally see an inflow of foreign manufacturers on its soil. 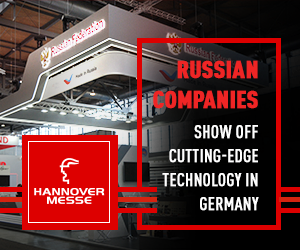 BMW, Ford, Opel, Audi, Chevrolet, Volkswagen and many more foreign car manufacturers have assembly plants in Russia. However, popular luxury brands like Lexus and Mercedes are not produced in the country. Putin said the move doesn’t contradict the rules of the WTO, that Russia finally joined in the end of last year, because state purchases are regulated by the laws of the country. This attempt to support the local car industry is not new. More than 10 years ago Russia’s newly appointed Deputy Prime Minister Boris Nemtsov tried to push through an order obliging officials to buy Russian-made Volga sedans instead of imported cars. 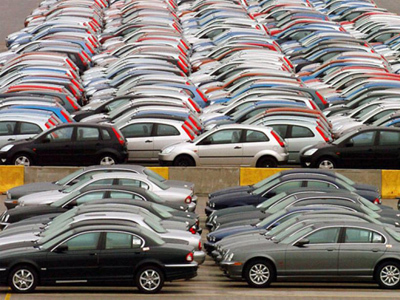 Last year the Russian Federal Anti-monopoly Service tried to set up a price limit for cars ordered by state officials. It looks like this time the implementation of Putin’s idea, with all the authority and power he has, will be speedy. However, it looks like its Russian car makes that Vladimir Putin wants to cultivate a love for, often using his own example of buying a Russian Niva or cruising Moscow in a Lada Granta. 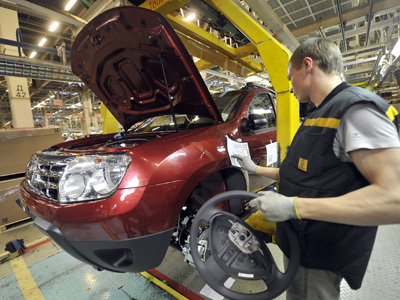 The announcement was made in Togliatti, the home town of Russia’s largest car maker AvtoVAZ, where Putin held a conference on the impacts of WTO accession on the Russian car industry. 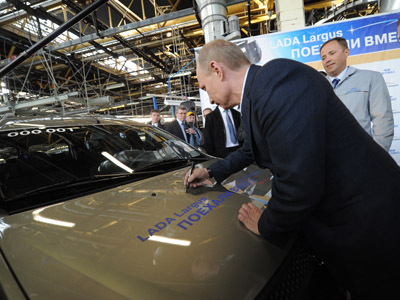 He also launched the production of a new car called the Lada Largus, which was developed with the help of Renault –Nissan. Renault-Nissan's electrifying future in Russia.